I hadn’t heard of this documentary until coming across it on a long plane ride from London to Los Angeles the other day. I thought, I love documentaries why not give it a go. This film totally surprised me. I didn’t want the story to end. I am always skeptical of films that are told through the eyes of the director, but Maloof did a sensational job of telling Vivian Maier’s story. Right off the bat he has the viewer intrigued by this unknown artist, a photographer that has no record of existence other than her obituary. Maloof and Siskel take us on the journey of their discovery of who they come to find out was a mysterious nanny who in her lifetime took over 100,000 unseen photographs. Watching this film you could feel the authentic desire the filmmakers shared in wanting to discover the answers. 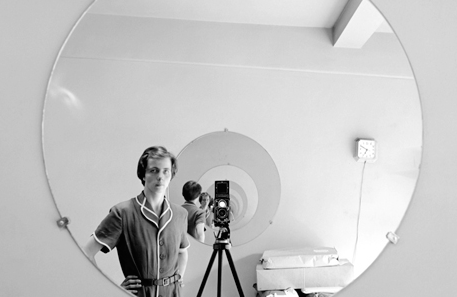 They were on a true quest to find who Vivian Maier truly was. Where she came from? What her deep dark secrets may have been. Where say may have lived during her life. Who she had worked for. What was the meaning behind all of her photographs. Directors Maloof and Siskel capture their discoveries of Maier’s strange and riveting life through her never before seen photographs, films, and interviews with dozens who thought they knew her. I give a standing ovation to Maloof for being the champion of not only Maier’s work, but her story. Must see.